The last three quarters in Chennai have reported stagnancy in the residential land­scape. While the floods played a major dampener for the market, progress to­wards AMRUT, Smart City, and infrastruc­ture restoration kept the market afloat. 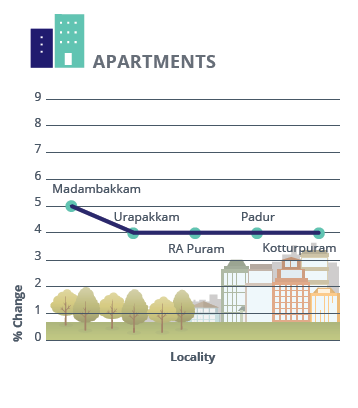 Demand for affordable and mid-segment properties outpaced other categories, leading to suburban localities such as Madambakkam, Urapakkam and Padur recording a price hike to the tune of four-five per cent each in Jan-Mar 2016. Diminishing demand for luxury homes led premium localities such as Egmore, Besant Nagar and Adyar to witness a decline in ‘ask’ rates by four-five per cent. Paucity of land parcels in Greater Chennai shifted interest of both buyers and sellers towards peripheral locations along the major transit corridors – Grand Southern Trunk (GST) Road, East Coast Road (ECR) and Old Mahabalipuram Road (OMR). Approved layouts available at competitive prices attracted majority of the buyers, 80-90 per cent of which were investors. Demand from NRI investors in areas such as Chengalpet, Maramalai Nagar and Guduvancheri, led to a price hike of six to 15 per cent in the last six months. 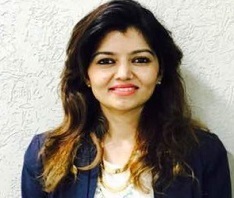 Land rates in both North and South Chennai recorded a steady growth, however, towards the West, land rates dropped by two per cent. Sriperumbudur recorded the highest price rise of five per cent owing to robust demand for both residential and commercial development. 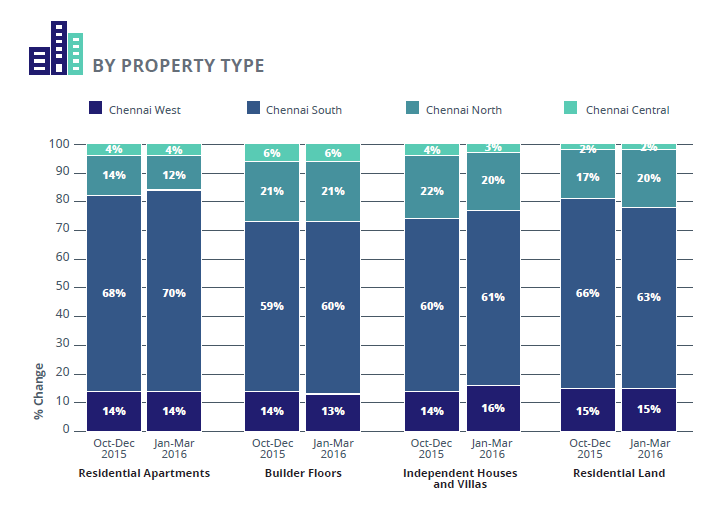 The rental market in Chennai remained under pressure and the average rents for residential apartments did not post any growth YoY, barring a few localities. Situated amid the major IT hubs of the city, Medavakkam emerged as the top-performer in the rental market of Chennai, with nine per cent appreciation over the last one year. 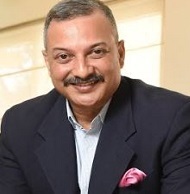 Preference for well-connected localities coupled with strong social infrastructure resulted in localities such as Ashok Nagar, Saidapet and Alwarpet score a three to five per cent rise each YoY. 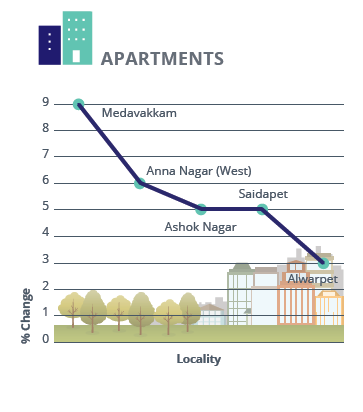 Rental rates of premium properties such as T Nagar, Adyar and Besant Nagar seem to have either stabilised or dipped across the city owing to limited rental demand for high-end homes. 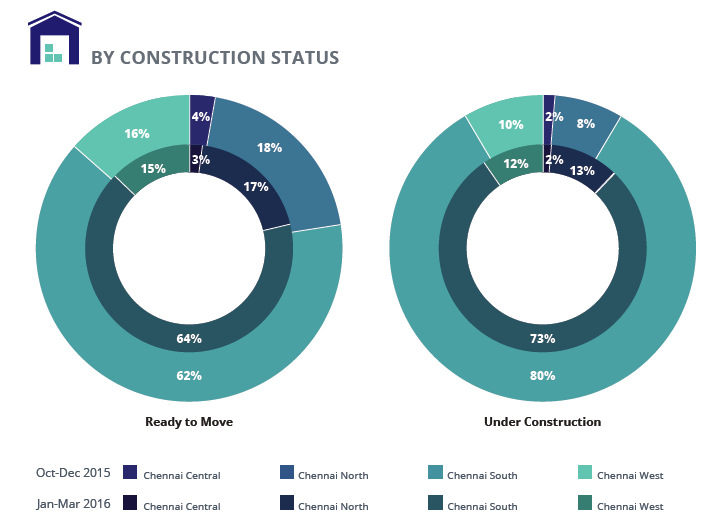 Builder floors in Chennai witnessed maximum demand from the growing migrant population and those who preferred cost-effective rental options. 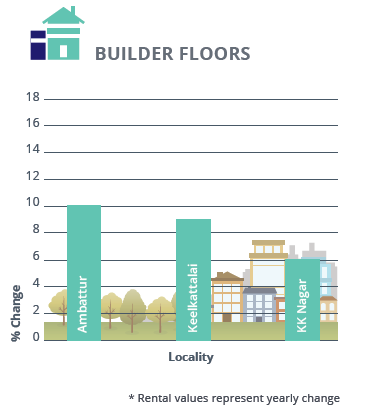 Ambattur in the North, and Keelkattalai and KK Nagar in the South recorded maximum hike of six to ten per cent each, in rental rates of builder floor units. Presence of educational institutions lifted the location attractiveness index of Ambattur, pushing its rental rates up by 10 per cent in the last one year. KK Nagar attracted tenants due to its competitive rates in comparison to premium localities such as T Nagar, Nungambakkam and Kodambakkam, which are popular for residential apartment format. Rental rates in KK Nagar appreciated by around six per cent. 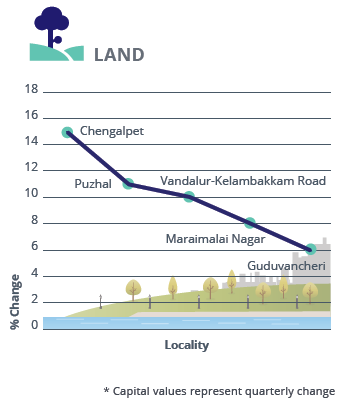 Majority of the new launches in Chennai were concentrated in localities such as Navalur, Kelambakkam, and Padur beyond Sholinganallur toll plaza belt in the price bracket of Rs 2500-4000 per sq ft.
Owing to its popularity as a residential and commercial destination, South Chennai recorded maximum inventory on sale for all the four property types. Floods in the last quarter of 2015 eroded the sentiments of land buyers, which clearly reflected on the supply of this property type across the city in Jan-Mar 2016. 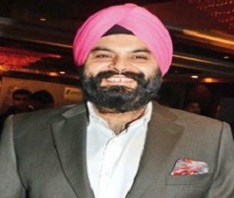 Launch of new projects with residential apartments dipped in the city due to low sales. North Chennai seemed to be the worst hit as the share of this zone in the total supply of residential apartments in the city reported a drop in the last six months. Mid-income housing (Rs 25-40 lakh) continued to be the most preferred segment amongst home buyers. Its availability spiked significantly in th e quarter ending March 2016 against the previous quarter. Major transit corridors of the city such as GST Road and OMR recorded maximum supply of properties in this price bracket. 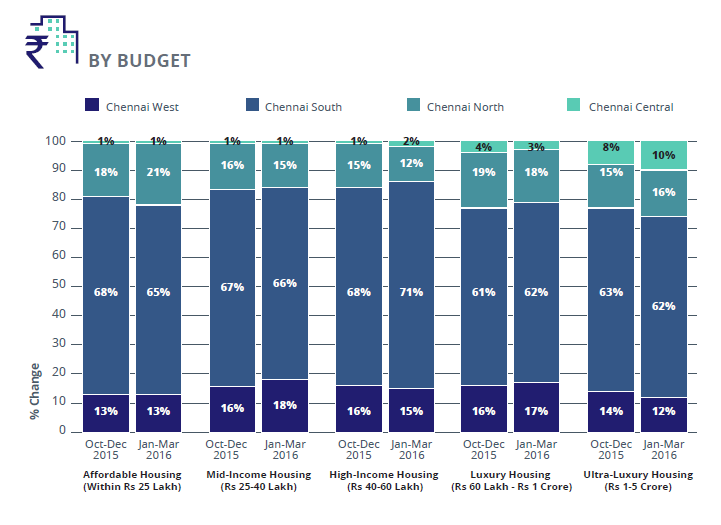 Rapid absorption of affordable housing units (Within Rs 25 l akh) led to a dip in supply of these homes in South Chennai. In addition to GST Road and OMR, the stretch between Vandalur and Kelambakkam recorded significant supply of these units. 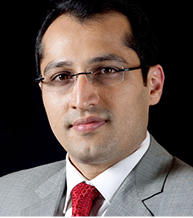 Supply of premium properties remained subdued as buyers continued to shy away from the market in hope of concrete signs of revival. The preference for affordable and mid-housing segm ents reflects in the size and configuration of new properties being supplied in Chennai. Suppl y for both 1BHK and 2BHK properties went up marginally in Jan-Mar 2016 against the previous quarter. 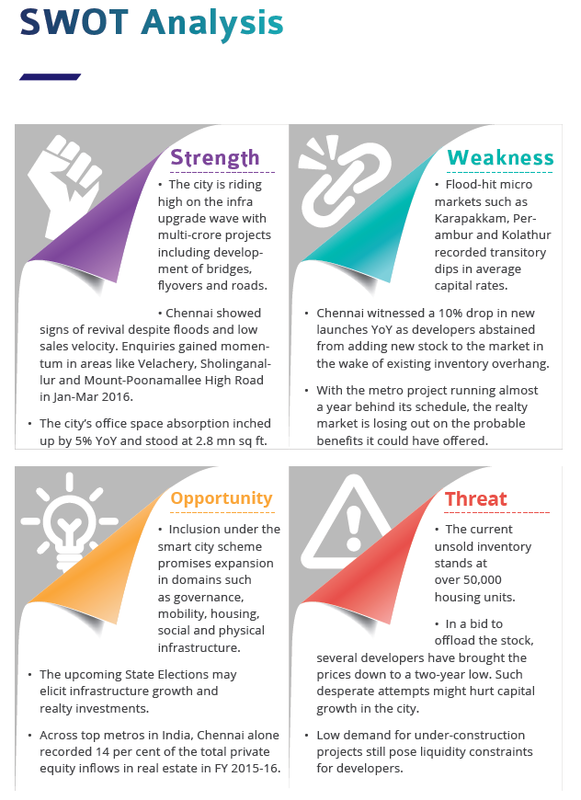 North Chennai held most of the inventory in the two categories, followed by southern region. South Chennai recorded the maximum supply of 3BHK units across the city. However, in the last two quarters, the availability has dipped marginally owing to fewer new launches. The premium properties were priced comparitively cheaper in West Chennai, attracting luxury home buyers to the sub-region. 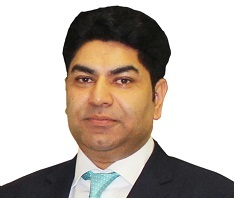 The increase in supply of 4BHK units was evident in the zone. Porur, Valasaravakkam, Poonamallee and Iyyappanthangal recorded maximum supply for this configuration. Home buyers largely preferred ready-to-move-in properties over under-construction homes due to fear of non-completion of the projects. In line with the demand, the inventory of ready-to-move-in properties surged in the quarter ending March 2016 as developers held back from launching new projects and focussed on completing ongoing projects. Approximately 80 per cent of the under-construction projects were situated in the South region. A large chunk of these belonged to the mid-income and high-income budget categories, thus garnering healthy interest from the buyers. Areas along the GST and OMR, and localities such as Medavakkam and Tambaram witnessed robust construction activities in the first quarter of 2016.